I wasn't expecting much from this week, but wow! I ended up getting more than I thought I would. Then I went to HPB again, I swear I go at least once a week these days, and picked up a few more things...I weep for my TBR pile! It sounded manageable on Friday with that number, but now it's sooooo not! 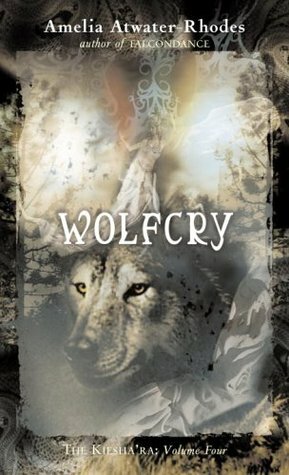 Wolfcry by Amelia Atwater-Rhodes--didn't initially plan on finishing this series but when I saw books 4 & 5, the last two of the series, at HPB for $4 a piece I couldn't resist! 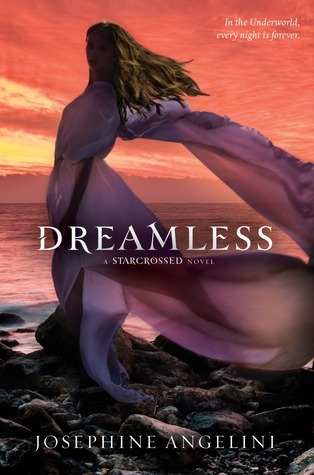 Dreamless by Josephine Angelini--hardcover, for I never did replace my ARC and these covers were gorgeous, so I finally bought the hardcover! 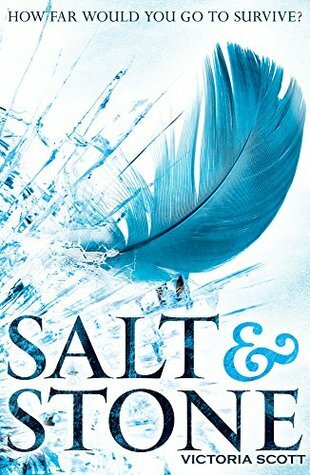 Salt & Stone by Victoria Scott--UK edition, SIGNED!! 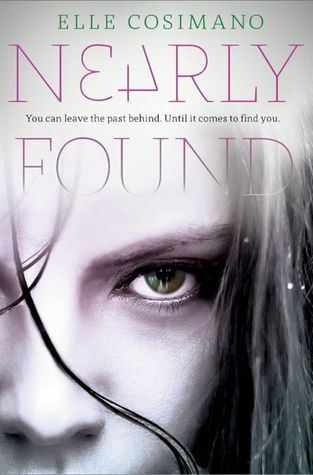 Nearly Found by Elle Cosimano (ARC)--SIGNED!! THANK YOU Victoria & Elle! 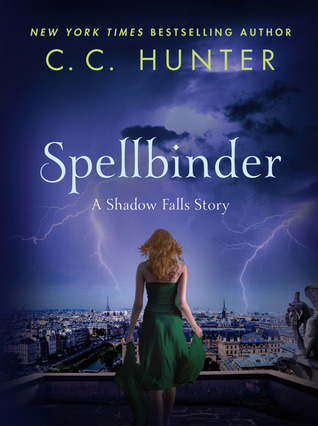 Spellbinder by C.C. 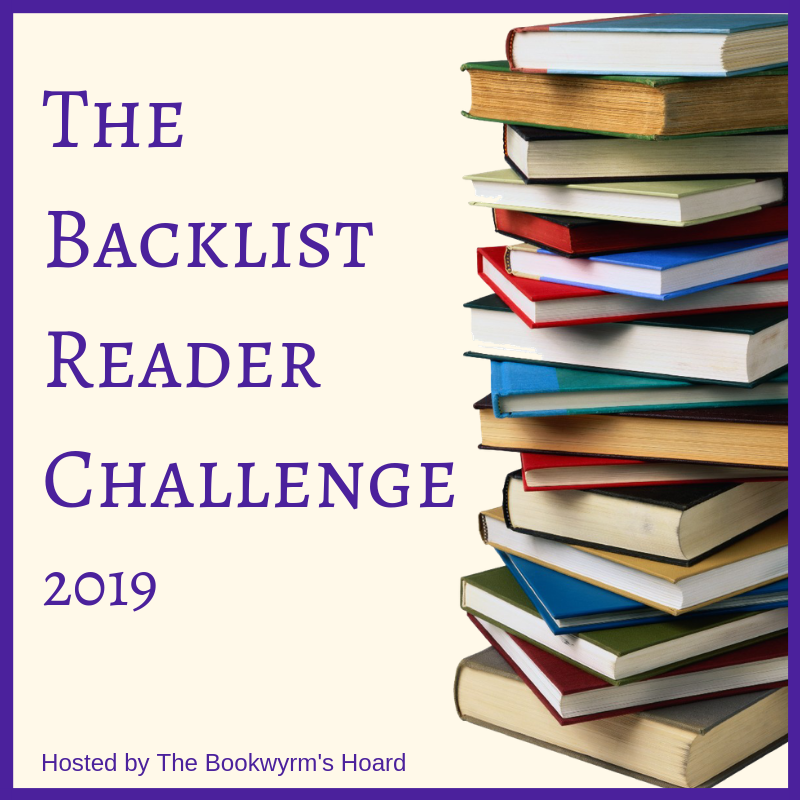 Hunter (ARC)--already read, reviewed, and LOVED! Review to come later in June! 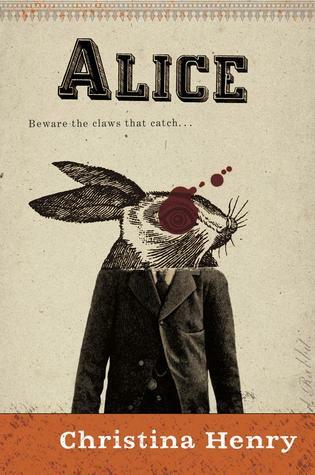 Alice by Christina Henry (ARC)--just started this one and it's quite mysterious, but I like it so far! 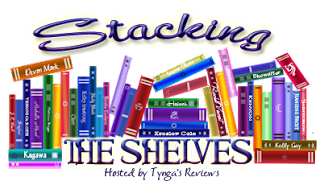 THANK YOU Delacorte Books, St. Martin's Griffin, Ace, & Netgalley! 2 new bookmarks...because I have a bookmark and book buying problem! a planner for the new year! an adult coloring book of Mandalas with a pack of 50 new colored pencils! And that was my week! Hopefully next week will give me something of a break! LOL! What did you all get? COVER COPY REVEAL BLITZ--Lust by Alyssa Rose Ivy +CONTEST! We are so excited for this Cover Reveal (and the book!) for Alyssa Rose Ivy's LUST!! LUST is a New Adult Paranormal Romance releasing July 16, 2015 and the second novel in her The Allure Chronicles Series! Cover design and photography by Mae I Design. 3) Falling head over heels for your winged hero Believe it or not number 3 is the worst one, especially when no one believes you that he exists. In Amelia Atwater-Rhodes's thrilling tale of love, loyalty, and illusion, the waking hours are only as safe as the dreams that came before them. I decided to return to Amelia Atwater-Rhodes's Den of Shadow Series. It took me awhile to realize she had return and now I have five additions to read! Persistence of Memory was an interesting story. Not as incredible as her earlier books that I fell in love with long, long ago, but still an entertaining enough tale! Erin has problems, she's schizophrenic and has been since she was a child. But things have been getting more complicated in her life lately. Shevaun, her alter identity seems to be taking over more often than not. And now she suddenly finds herself in Shevaun's body at times and there's a guy named Adjila who may or may not be a friend. But life gets even crazier when she finds herself face to face with Shevaun and Adjila when she long thought them to just be dreams. Shevaun is a centuries old vampire and Adjila is a powerful witch. This was definitely an interesting story. I thought it would be more that Erin has a vampire alter ego rather than Shevaun actually being a real vampire on her own. She and Erin are connected somehow, but the connection must be severed for their own good. Each of them wants to live a life unhindered by the other and it almost feels like a kill or be killed situation. Though things were not as dire as that. Erin's friends Sassy, who she hadn't seen in years returns and comes to help her, and her friend Marissa has her own secrets as well, but yet there definitely seems to be strong bonds between them and Erin. I just wish we could've seen more of it in the story. Which was rather short at 212 pages, it was almost a one day read, but alas I had to clean the house yesterday and it interrupted my reading flow! While Persistence of Memory wasn't the best I've read from the author, it was still a unique and enjoyable read. 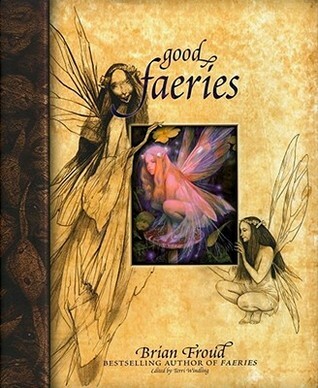 I hope that the next few books in the series can recapture the magic I found in them oh so long ago! After Nearly Boswell starts working as an intern at a crime lab, a girl from her trailer park turns up dead. 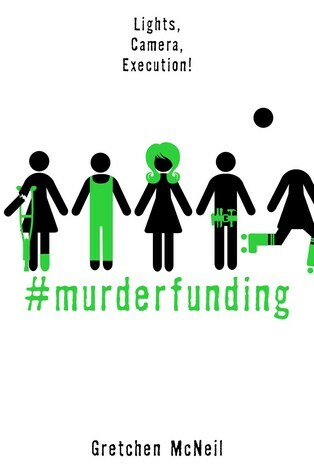 Then the corpse of a missing person is discovered, buried on a golf course, with a message for Nearly etched into the bones. When Nearly finds out the corpse is the father of Eric, a classmate of hers, she starts to worry that the body is connected to her father's disappearance five years ago. Nearly, Reece, and Nearly's classmates--Vince, Jeremy, and Eric--start a dangerous investigation into their fathers' pasts that threatens Nearly's fragile romance with Reece, and puts all them in the killer's path. I received this ARC from a local indie bookstore on Independent Book Store Day, I was in no way compensated for this review. WARNING: There will be spoilers from Nearly Gone in this review! Read at your own risk if you haven't read Nearly Gone yet! Elle Cosimano's Nearly Found is the companion to her stellar debut Nearly Gone! I don't know if this is meant to be a series, trilogy, or a duology, but I must say that I enjoyed this one just as much as the first! I will warn you that despite this being a "companion" if you haven't read Nearly Gone beforehand you will be spoiled entirely. But if for whatever reason you didn't want to read the first one--which you so should!--I would say you could follow along with the story easy enough. Don't get me wrong, huge events happened in Nearly Gone and they're referenced here, but basically to make life easier, read the first book because it was soooo awesome! It's been a few months since TJ's conviction. Nearly's life is finally starting to turn towards normal, but there have been dramatic changes. Her friends, Jeremy and Anh had given her the cold shoulder for months. Kids at school still give her odd looks. And then there's her relationship with Reece which starts to bring up new complications as well. Now Nearly is about to start her senior year of high school and one of the first things she wants to do is participate in an internship where she would work in a forensics lab. She still plans to go to college and will need money for that. It's not long though before things start getting dicey. Jeremy receives a strange note, than Vince, then Eric her lab partner in her Computer class, and then Nearly gets one herself. The feeling of deja vu hits and soon Nearly finds herself in another dangerous mystery with a killer leaving more cryptic clues for her. Some of the clues go back to her theory with the Periodic Table but the other clues prove more difficult in a sense to undercover their hiding meaning. I won't get into that, best to let you all bask in the mystery as well! And what a mystery it was! I felt like I was devising my own suspicions for this one, but again, I was still far from the truth. This one brings back the mystery of Nearly's father and the alleged poker club he was apart of. Nearly finds that she and her classmates have more in common then she thought possible. And I have to say again, wow! This mystery felt so vast compared to the last one! There's more going on this time though. All these different occurrences happening and eventually at the end, we see how it all fits together, but prior to that I was totally at a lost! But that's not to say it was a bad thing either! I love mysteries like that. Ones that have you trying to piece together every bit of evidence and possible evidence! It's exhilarating! Although I was sad to see Reece missing for most of the first half. He gets a new assignment at a high school across town and it puts a clink into his relationship with Nearly. I felt conflicted over that too. I understood why Nearly was hurt by some of Reece's actions, but at the same time, I felt like smacking her a bit and saying, "remember he's still a narc?!" But again, I understood why Nearly was hurt because her points were valid. Basically it was a conflicting mess! LOL! But there were still stolen moments, moments when you saw Reece and you knew the truth and I must say, I loved those moments! The final reveal at the ending was yet another shocker! I saw bits of it coming, but I was still struggling to put together the whys of it all. It was quite shocking and scary even, in a way. What I still want to know more about is Nearly's father. I feel like we keep getting hints of who he was and what all he did, but there's still the question of where is he? Will we ever see him? Will he own up to what he did? What's worse is that I can't tell if this is a series yet. This is called a companion to the first book. Right there in purple and white (the colors of my ARC). So I am dying to know if there's more! It's going to be a guessing game from this point out! 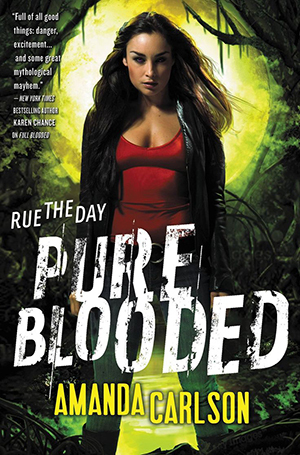 I just hope that there's more, because this series...duology?...or whatever we want to call it is freaking amazing! In this one we see more characters and I loved watching them grow and develop as well. People we thought we knew before in the first book we see in a different light in this one! 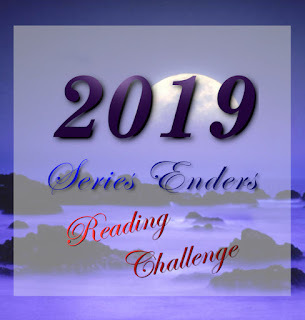 I can't say much about it, because again, I'd rather let you experience it for yourselves, but I just hope that this isn't the end and we can see more of it in future reads! Nearly Found was creeptastically amazing! I love the edge, the mystery and the creepiness. I love that Nearly has a special talent that makes her not quite normal. I love the bits of romance filtered into the pages. I love it all! The suspense, the danger, everything! 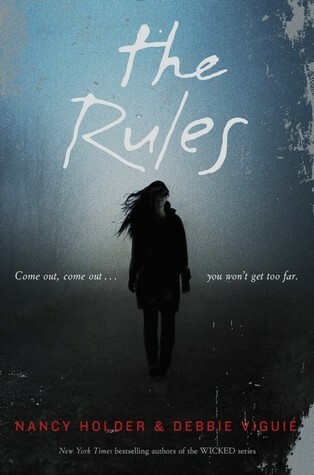 This is one series I highly recommend to all mystery/thriller readers out there! So just as I am preparing to look through some random factoids books I bought, I found an article with surprising facts about DISNEY WORLD!! How lucky was that?! So I'll have about 5 weeks worth of some fun facts about the Happiest Place on Earth! These facts were taken straight from the article as I find it easier to let you read her words then try to reword it! Credits go to Hilary White, the author of the article. Don't want to share its location because then you'll know my fun facts for the next few weeks! ;) I'll share it at the end though! Each day, an average of 210 pairs of sunglasses are turned in to Disney's lost and found.--Disney says that "since 1971, an estimated 1.65 million pairs of glasses have found their way into the 'lost' bin. 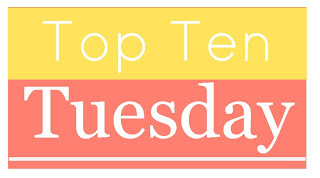 On an annual basis, Lost and Found cast members collect more than 6,000 cell phones, 3,500 digital cameras, 18,000 hats and 7,500 autograph books." --WOW I'd like to think I would know that I lost something like a camera or phone! Or autograph book! Mickey and Minnie have hundreds of unique outfits.--Mickey Mouse has over 135 sets of different outfits, and Minnie has more than 100.--shocked Mickey has more! At least they're making it seem that way! There are about 74,000 cast members in Central Florida.--People who work for Disney World are not called employees; they are called cast members and must always be in character when on duty. The Cinderella mosaic is symbolic.--Disney says that "guests can see that each of Cinderella's stepsisters appears with her own special facial tint. One sister displays a red tint to show that she is 'red with rage,' while the other sister displays a green tint to show that she is 'green with envy,' as they both watch Cinderella try on the glass slipper to reveal a perfect fit." Disney World is HUGE.--It spans about 40 square miles, making it the size of San Francisco or two Manhattan islands. According to Disney, of the approximately 25,000 acres, about a third is conservation land.--WHOA! Never realized the WHOLE resort was that huge! I mean I knew it was BIG but WHOA! Over 75 million Coca-Colas are consumed each year at the Disney World resort.--Not to mention 13 million bottles of water.--Daaaaamn! Animal Kingdom is Disney World's largest theme park.--never would've guessed that, but it does make sense! All those animals need room to roam! I received this ARC from a local indie bookstore on Independent Bookstore Day, I was in no way compensated for this review. 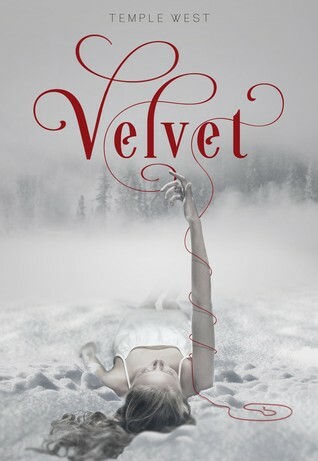 Virginia Boecker brings us a fresh new tale in the world of Paranormal YA! 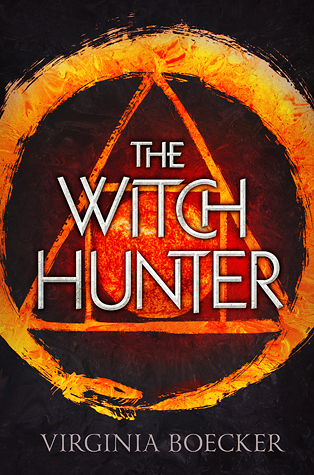 The Witch Hunter was set in the 1800s, which is already making way for a different kind of read with all the modern day worlds or dystopian ones, and it's not at all a Salem Witch Trials kind of read, though there are witches and executions. Add to that a group of witch hunters, revenants, ghosts, and those bloody pirates, you get more than what you expect with this read! Elizabeth is a witch hunter, one of the best really after her best friend Caleb. These two have been friends for years and have been through everything together. So naturally, Elizabeth developed an unrequited crush on him. But her life gets turned upside down when she finds herself accused of witchcraft for possessing a pouch of herbs on her person. Basically, if you sneeze wrong in this world, you're called out as a witch and sentenced to die. Which is what happens to Elizabeth. Days go by, and then suddenly one night, Nicholas, the most wanted wizard in the country comes to break her out. There's a prophecy in place that basically told him he needed her help and so begins Elizabeth's tremulous journey. I liked that Elizabeth was a hard character to like in the beginning. For years, she's hunted witches and brought them to their deaths and now she finds herself at the mercy of a bunch of witches and wizards--that's basically what the male witch is called. Elizabeth has no personal grudge against witches either. Just that witchcraft is against the law and she's a witch hunter, so being where she is at is hard for her. But yet, she learns a lot more than she thought she would. Nicholas needs Elizabeth's help in breaking a curse that was placed over him. He will die otherwise, and before long Elizabeth finds herself starting to care for the group that's taken her in. They aren't all friendly at first, Fifer, another young witch and student of Nicholas's is the most stingy. She hates Elizabeth on principal. Then there's George who seems to be a man of mystery. I have a few inklings of his character, but we don't get to dive into his secrets much. But he was definitely a great source of comedic relief. Then there's John, the healer, who is basically your all around nice guy. He's easily liked! And then one of my most favorite characters is one we meet later on, Schuyler, a revenant. He can be one scary dude at times, but he is hilarious! I love his and Fifer's bantering. There's definitely something between those two and I can't wait for more details later on! I really enjoyed this one more than I thought I would. I liked watching Elizabeth's character grow. I liked seeing the other characters involved with her. There's a lot of character development in this book I'd say and I loved that! That is one of my favorite things about reading! Other tiny little pieces of the story that had me grinning from ear to ear for no real reason were the epic showdown at the end was to take place at a party, its date? My birthday! You know, just some 200 years earlier! And then prior to learning that date, Elizabeth received 32 stitches from an injury and as you might know, 32 is my favorite number! LOL! There was romance in this one as well. As I mentioned, Elizabeth has harbored a crush on her best friend Caleb for years, but I never really grew to like Caleb. He was kind and such, but he seemed full of himself at times. I didn't care for him at all really, but I admired the friendship he had with Elizabeth for so long. Then there's another guy who catches Elizabeth's eye. I've mentioned him already, but I won't say who it is. I must say, I was definitely more down with that romance instead! This book was well paced, not fast, not too slow. It was a mix of just right! There's plenty of secrets and other events going on that lead us to the epic conclusion. And there were plenty of surprises in that realm too! This is definitely a series I will be continuing, for it was a breath of fresh air in some ways and I am pretty much too hooked to give it up! The Witch Hunter was a marvelous tale with a unique setting! The characters were pretty much spot on for perfection, in that they weren't at all perfect, but yet they grow! I truly loved and loved to hate them all! This read was fun and enjoyable! 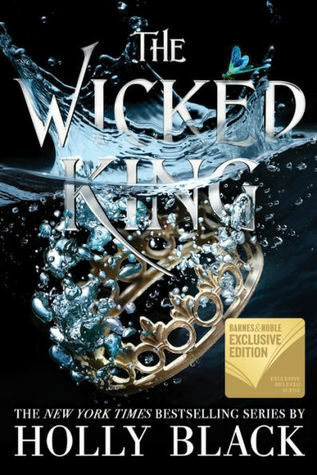 Soooo cannot wait to get back to this series! 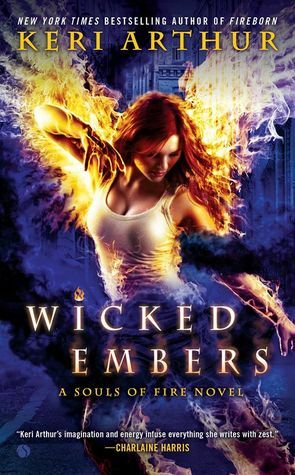 Still need to read Risa's last book too, but I do remember loving Fireborn! 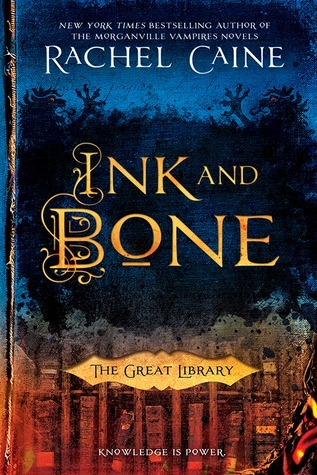 A new Rachel Caine book! Yay! This one sounds very intriguing! I mean there's a LIBRARY involved with it! 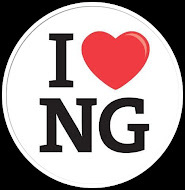 It has to be amazing just by that fact alone! SOOOOOOOOOO cannot wait to read this one! I will be disconnecting myself from internet and such until I can have it read! No spoilers for me! LOL! Hidden Huntress picks up just a little bit of time after Danielle L. Jensen's debut, Stolen Songbird. It was just as magical and amazing as its predecessor. 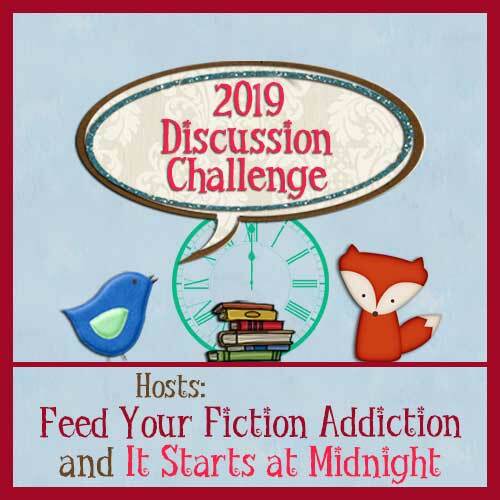 I like it when the books follow one another seamlessly, but I did just read Stolen Songbird prior to this one, so perhaps that why I like that method. But even if it's been a long time since you read the first book, I'd say you'd follow along just as well. There was enough recaps in the beginning to get you on even ground and ready for the next adventure. And what an adventure it was. We still get both Ceclie and Tristan's point of view, but what I liked about this one was that Tristan received an equal--or close to equal--amount of chapters. Cecile makes a devil's bargain with the troll king and must find the witch who cursed the trolls and bring her back to the king or else Tristan would suffer, and his followers would suffer as well. Tristan meanwhile must begin anew. He's broken the trust of his followers and everyone is believing the king's lies. His only allies are the few that have been loyal to him since the beginning; Marc, the twins, and even Elise. The gates to Trollus have been closed to humans, business is conducted at the gates where the barrier between Trollus and the above world lies. The king is itching to get out, while Tristan is doing everything possible to keep the king from getting out. Cecile is on the hunt for the witch and in the meantime dividing her time between practicing her magic--which she has very little time for these days--and performing in operas. She lives with her mother who is a famous opera singer and is basically training Cecile to take her place. Things are chaotic everywhere, whether below or above ground. Enemies lie in wait, there are too many secrets and lies about. 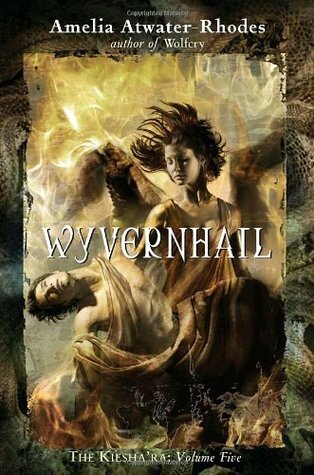 While this creates chaos for our characters, it creates quite the thrilling read for us readers. There were still moments of time where I felt like the pace started dragging. There were just too many steps in getting to the ending. Perhaps it was also because I read this one on my kindle with no idea of its page count and it just took me much longer to read than usual. Little factors like that made it tiring to read at times, but still throughout I was entertained and enjoying myself, so I guess it was an even footing kind of race. What I missed in this one was the time Cecile and Tristan got to spend together. True, in Stolen Songbird it took a long time before they started to have feelings for one another and express them. This time, the feelings are there, but they are just separated. And when they do find each other again, it's in the middle of chaos, so there's no time for expressing feelings and such, but they make do with what moments they can. And I must say, I did enjoy those moments! The ending was quite the show. I had my suspicions about particular things, but I never gave them full force. So I can't say I was right about the outcome. But the final part of the ending, was one I did suspect happening. It's basically going to lead us to an epic conclusion in the trilogy to say the least! 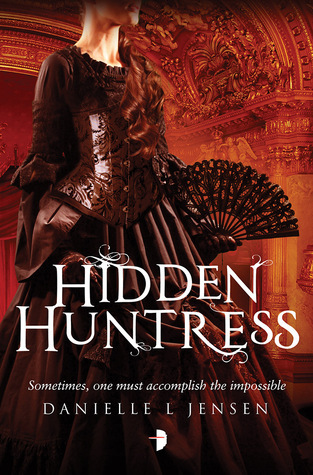 Hidden Huntress was filled with twist and turns and excitement galore! It was one heart-racing kind of read and I will once again be eagerly awaiting its sequel. Or in this case, finale! If Danielle has taught me anything through these first two books, it's that the third one will astound me far greater than its predecessor! 1. 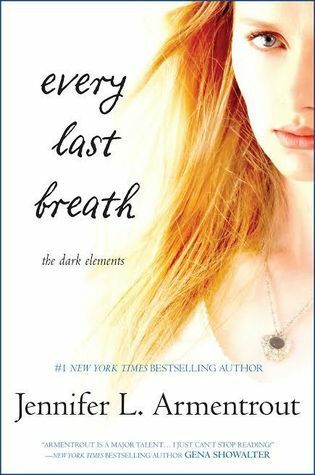 EVERY LAST BREATH by Jennifer L. Armentrout--cause heck yeah! 2. 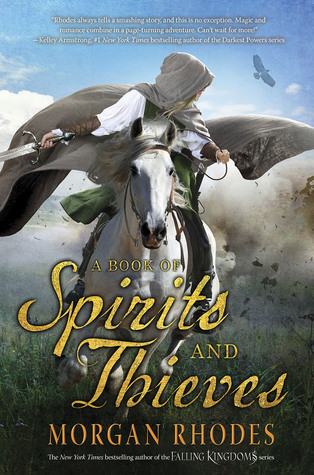 A BOOK OF SPIRITS AND THIEVES by Morgan Rhodes--one step closer to returning to Mytica and all my fave characters and plot twists! This one will definitely be exciting! I can tell already! 3. 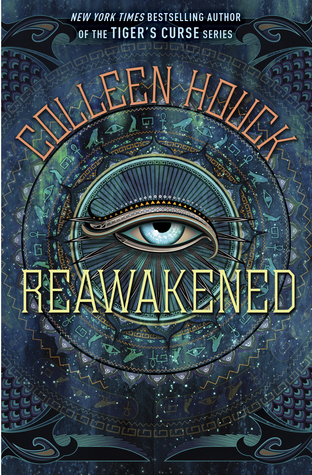 REAWAKENED by Colleen Houck--dying for a new read from Colleen since I binged the Tiger's Curse Saga and I am still not so patiently waiting for Kishan's books! 4. 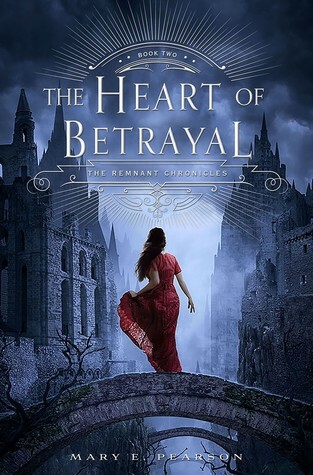 THE HEART OF BETRAYAL by Mary E. Pearson--almost let this slip past me in my excitement of summer reads! YIKES! Soooo cannot wait to read this one! 5. 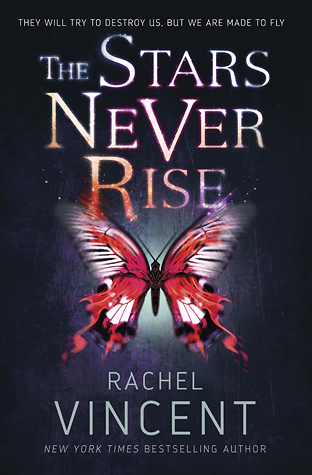 THE STARS NEVER RISE by Rachel Vincent--have been looking forward to a NEW Rachel Vincent read since the initial end of Soul Screamers! 7. 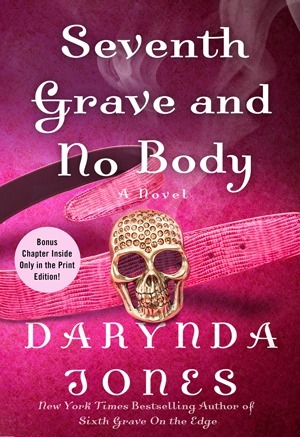 SEVENTH GRAVE AND NO BODY by Darynda Jones--coincidental arrangement, I swear! 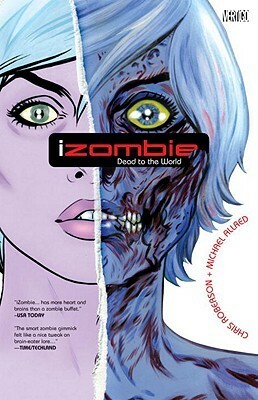 Still need to read this one but then I can binge 7 & 8! 8. 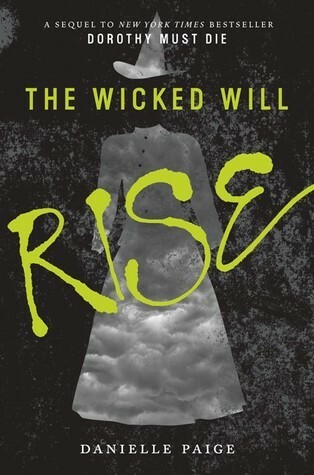 THE WICKED WILL RISE by Danielle Paige--still want to read The Wizard Returns first but so looking forward to returning to this world again! 9. 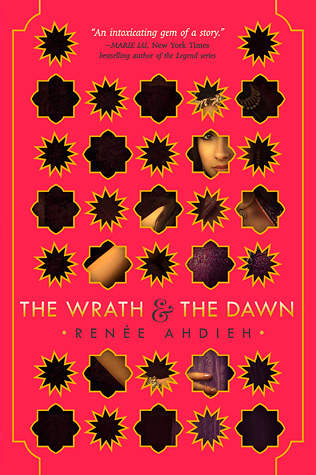 THE WRATH AND THE DAWN by Renee Ahdieh--reading amazing reviews and cannot wait to read it myself! 10. 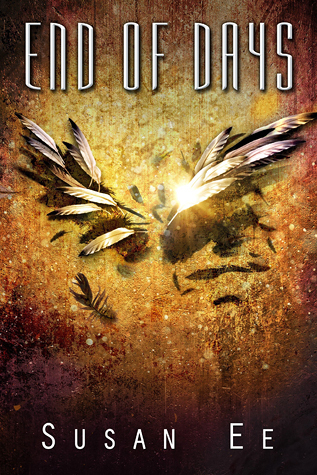 END OF DAYS by Susan Ee--sadden to read a series finale, but yet, it's been soooo long! Dying to see how it all ends for Penryn! BIG NEWS!!! And a CONTEST! Sarah J. Maas Signing + CONTEST!! !